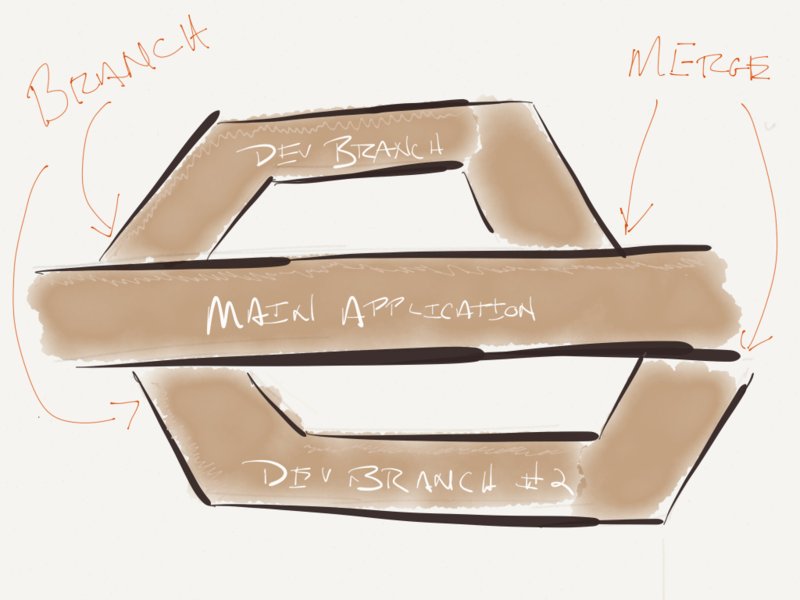 In the previous post, I gave a working definition of branching (based on Git’s model of source control) and provided a conceptual model that I hope makes it easier to understand what’s happening whenever you branch code from the master branch of the application. 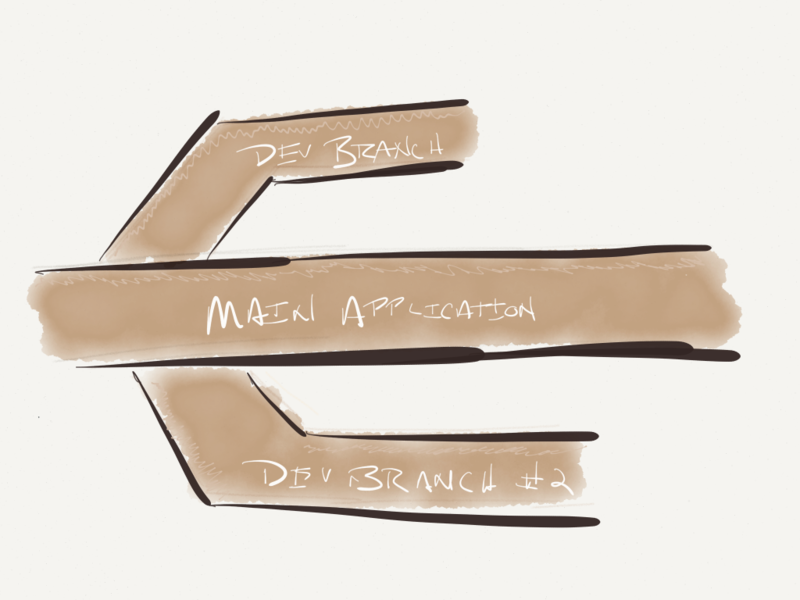 The thing about creating branches is that they’re typically merged back into the main application once a feature has been completed, a bug has been resolved, or something has been patched. If branching is taking a copy of the code and creating an independent sandbox out of which to work on the program, then merging is the opposite – it’s taking the code from the branch and pushing it back into the main part of the application. As previously mentioned, the whole idea behind these two posts is to provide a beginner-level perspective on how branching and merging work within the context of source control (using Git’s model as our base). Branching and merging are not unique to Git, but a lot of developers tend to be using that particular version of source control right now, so it seemed to make the most sense to use it as the core example. The thing is, there can be some complicated things that come up with merging, and though this post is not the one that’s meant to walk through how to resolve them, it is worth mentioning that one of the things that you’re most likely to experience when performing a merge is a merge conflict. Essentially, a merge conflict is when you have, say, two versions of a file – one from master and one from your own branch – and the source control application can’t figure out how to best merge the two files together into one. In order to overcome this, it’s up to you to use a tool such as Kaleidoscope in order to manually merge the two files together. This, in essence, creates a third version of the file (the master version, the branched version, and the merged version) that will be placed into the master branch once the merge is complete. Of course, it’s up to you to figure out exactly how to properly merge the file (that is, which line gets merged?) but that’s the topic for a more advanced post. At any rate, this should cover the basics of branching and merging and hopefully this helps to make a little bit easier to understand why branching is useful and how merging works. Thank you so much for this! And for not being patronizing about it too! 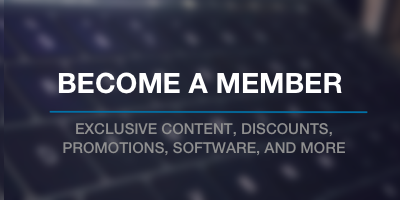 As the non-coder on my team, I find myself in the position of needing to learn how this stuff works but without any clue on how to even begin trying it for myself. Github is super intimidating. I suppose I could create branches and merge revisions of my novel? Or blog posts I’m working on? Thank you so much for this! And for not being patronizing about it too! Of course! There’s no reason to be patronizing when trying to teach others something new. Whenever I go to look up something, the last thing I want is have someone speak to me in a patronizing manner :). Exactly. You can use it for far more ways than just software!